Karaka Million winner Probabeel is to have her next start in the Group Three Magic Night Stakes in Sydney on her way to Group One races. 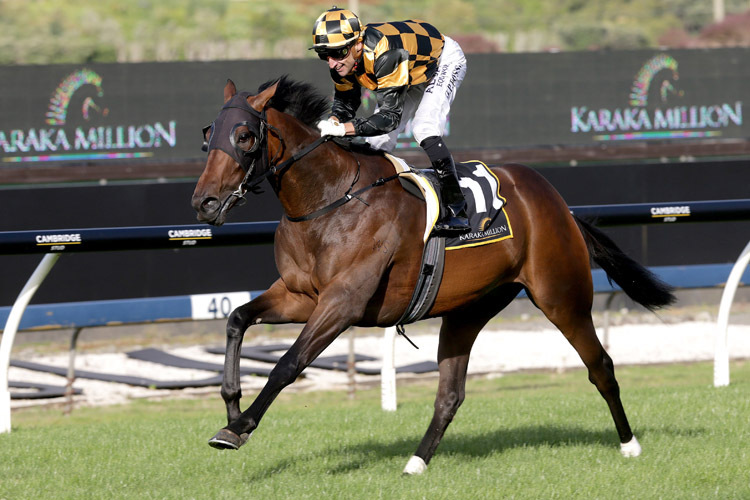 The winner of last month's Karaka Million (1200m) is being aimed at the Group One Sires' Produce Stakes (1400m) on April 6, three weeks after the Magic Night Stakes (1200m). Richards says the filly's owners, Cambridge Stud proprietors Brendan and Jo Lindsay, are keeping their options open on a start in the $3.5 million Golden Slipper at Rosehill on March 23. "She has come back looking a picture so we're really excited to be able to confirm where she will be going next. "Her main aim is the Sires' in early April so we will head across before then for a lead-in to that in the Magic Night Stakes in March. The 29-year-old Richards racked up his 50th stakes win as a trainer with Melody Belle's Group One win in the BCD Group Sprint (1200m) at Te Rapa on Saturday. "I wasn't actually aware of it if that is correct, then I'm certainly pleased to reach that mark at this stage of my career," he said. "My focus is on the horses that we prepare and I guess if I'm doing my job properly then those type of records become a bonus along the way."